Delphi Center staff members are dedicated to the pursuit and promotion of excellence in teaching and learning. Our numerous program areas serve a diverse audience with one common goal: to promote academic and professional growth through education. 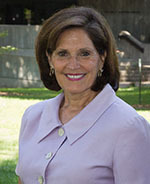 Dr. Gale Rhodes has over 40 years of higher education experience, having served as a Director of Student Activities at Mississippi State University, Associate Dean at the University of Central Arkansas and as Vice Provost at the University of Louisville. During her 30 year career at the University of Louisville, she has served as Director of Academic Services, Director of Distance and Continuing Education, Assistant Provost, Associate Provost and as Vice Provost in 2018. At the University of Louisville, Dr. Rhodes is responsible for Teaching and Learning, Online Learning, Instructional Design and Technology, Blackboard, the Quality Enhancement Plan, Event and Conference Services and Professional Development. Her units are housed on Belknap Campus, ShelbyHurst Campus and the Health Sciences Center. Dr. Rhodes earned her B.S. in Education and her M.S. in Counseling and College Student Personnel at the University of Tennessee. She earned her Ed.D. in Counseling and College Student Personnel at the University of Louisville. She served as the Golden Key National President, National Association of Campus Activities Board of Directors, Southern Association of College Student Affairs, co-chair of Greater Louisville, Inc. HIRE, and coordinator of the Kristen Rita Strouse golf tournament and auction. She has served as an adjunct professor in both the College of Business and the College of Education and Human Development at UofL. Provide oversight for the SACS QEP. The QEP staff work with colleges/schools to research, propose and prepare a QEP proposal as part of the institution’s commitment to the reaffirmation process for SACS-COC. Assist units with putting entire academic programs online. The Office of Online Learning works closely with department chairs and individual faculty members with recruitment, retention, student services as well as helping with a plan of action for getting programs online. Provide training and faculty development for faculty members putting courses online. This office facilitates several intensive workshops teaching faculty members how to put their classes online as well as assisting them with both course design and effective teaching skills. Provide support for the learning management system, Blackboard, so that it is an effective system in which faculty teach their online classes. Provide faculty development opportunities for faculty teaching face to face classes. This unit does a series of faculty learning communities, all day workshops, dine and discover workshops and one on one consultations with faculty to assist them in developing strong teaching skills in their classes. Schedule meetings and conferences on ShelbyHurst Campus using both the Founders Union building and Burhans Hall. Both of these facilities have renovated meeting space along with the opportunity to utilize conferencing staff to fully support conferences that are scheduled on ShelbyHurst Campus or the greater Louisville area. Provide professional development opportunities to both Greater Louisville businesses as well as the university community. There are public offerings as well opportunities for in-house development if businesses would like for the staff in this unit to work with their individual staff members onsite. Facilitate marketing plans for all of the units in the Delphi Center to adequately inform others of the opportunities available through the Delphi Center. Provide fiscal oversight of the entire budget for this organization.